Allowing the Ag Land valuation process to move quickly, accurately, and completely through a secure, consistent, regulation-compliant, cloud-based system. LVS is the only land valuation software designed exclusively for agricultural and timber lands. A single source for everything related to land valuation and generating reports.  LVS was developed by leaders in rural land valuation who continue to work and enhance the software in conjunction with the industry’s top appraisers, lenders and organizations. LVS boasts the industry’s most robust GIS mapping system, critical for generating today’s appraisal reports…system allows the user to draw, measure area, comment and export. …know more than anyone about what is required to provide credible rural and agricultural real estate valuation to lender and non-lender clients. …provide our clients with a selection of valuation vendors who are most suited to complete valuations competently based on knowledge base of rural property appraisal, of the specific property type, and the market area. …understand each valuation problem completely, framing it with the scope of work necessary to solve the problem; no more and no less. …know the questions to ask, and ask enough questions to be assured that lender and non-lender clients and valuation vendors are aligned and performance expectations are met. …use tools that encourage our valuation vendors to verify, vet, and confirm sale and lease data by digging deeper to find ‘the story’ behind every transaction, providing consistency in every analysis. …use tools that encourage our valuation vendors to think about economic principles that apply in every land transaction to collect the data that defines how buyers and sellers think, feel and behave.